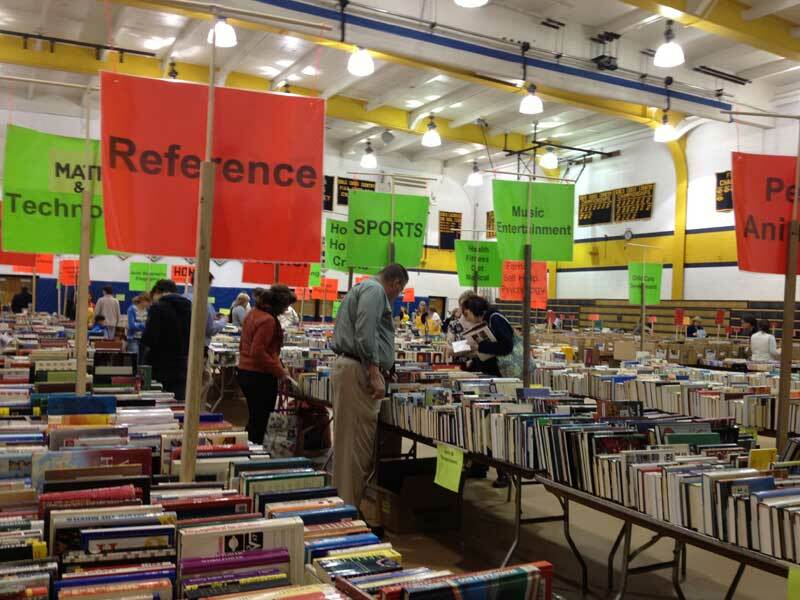 The Unionville High 2014 used book sale offers a dizzying array of genres and titles. 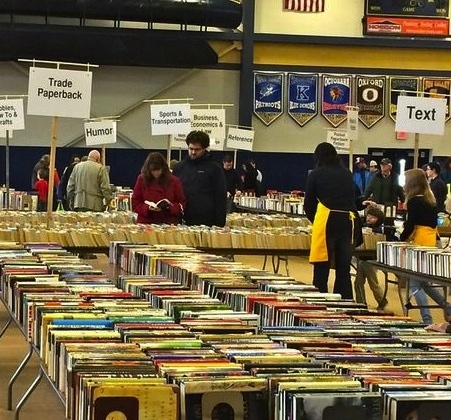 The Unionville High School (UHS) PTO’s annual used book sale succeeded in overcoming adversities caused by this winter’s particularly punishing weather. Although storms initially put a damper on donations, the popular sale reportedly brought in more than $30,000 last weekend. On par with last year’s profits, the proceeds bring the seven-year fund-raising total to more than $230,000, organizers said. With tens of thousands of titles and hundreds of volunteers, the sale generates a large portion of the PTO’s budget. 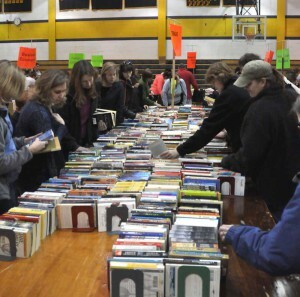 Local residents donate used books every year to the sale, which is held in the UHS gymnasium, producing one of the largest sales of its kind in the region. The sale provides financial support to various projects and programs at the high school. And for those who missed out or those who want to get a head start on collecting next year’s donations, the eighth edition will happen in February 2015.